The UK is the only country in Europe that locks up people without release dates. 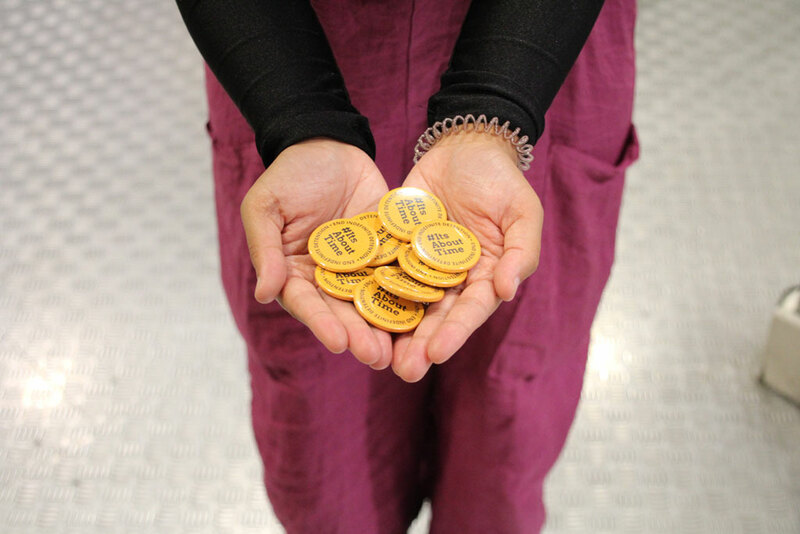 Alongside other campaign groups, faith leaders and all opposition parties, Liberty is calling for an end to the ineffective, inhuman and unnecessary system of immigration detention – and the first step is a 28-day time limit. 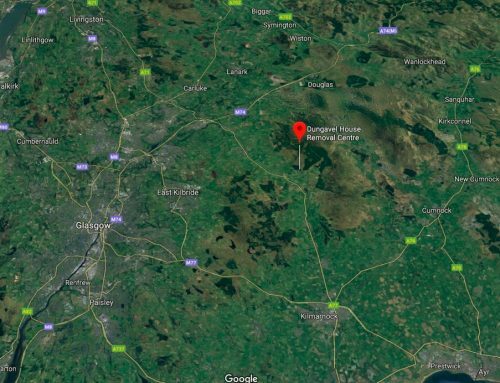 Despite reports in the news, many people are still largely unaware that indefinite detention takes place in the UK, and the reasons why it is happening. 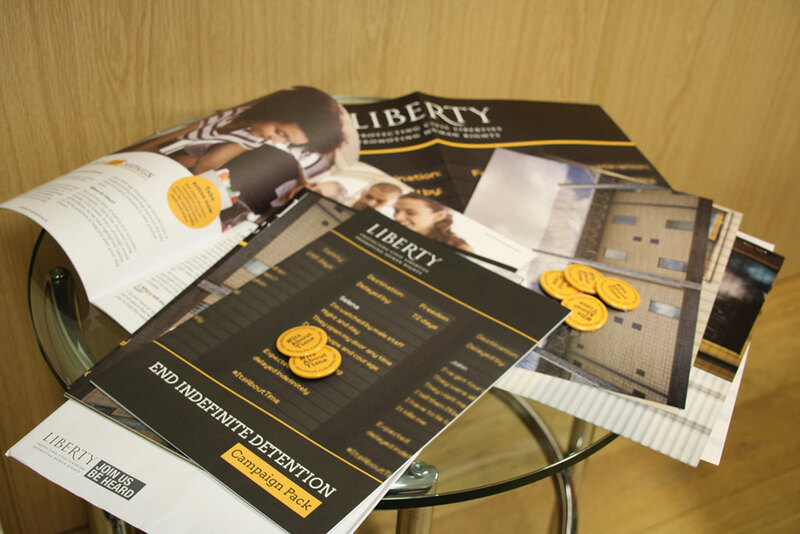 You can help raise awareness, and make an end to this system a reality by taking the very simple steps in Liberty’s End Indefinite Detention campaign toolkit. It is crucial that we all come together to make the case for a 28-day time limit loud and clear. Evidence shows that people’s mental health significantly deteriorates after just one month in detention. And Home Office guidance says 28 days is a sufficient period of time to effect someone’s removal from the UK, where certain conditions are met, even in complex cases. If the purpose of detention is indeed removal, then this time limit could and should apply to all detention cases. 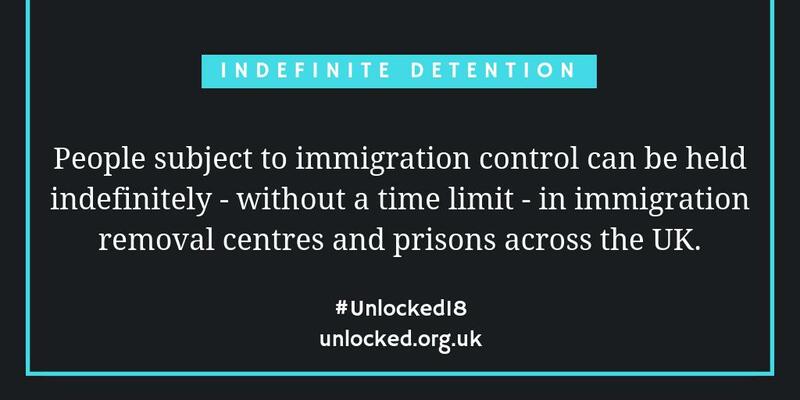 There is also clearly no justification for indefinite detention when comparing it to time limits for deprivations of liberty in other legislative contexts. Pre-charge bail, for example, is limited to 28 days – and the justification is that “in many cases… being imposed on people for many months, or even years, without any judicial oversight – and that cannot be right.” The same logic must also apply for immigration detention. 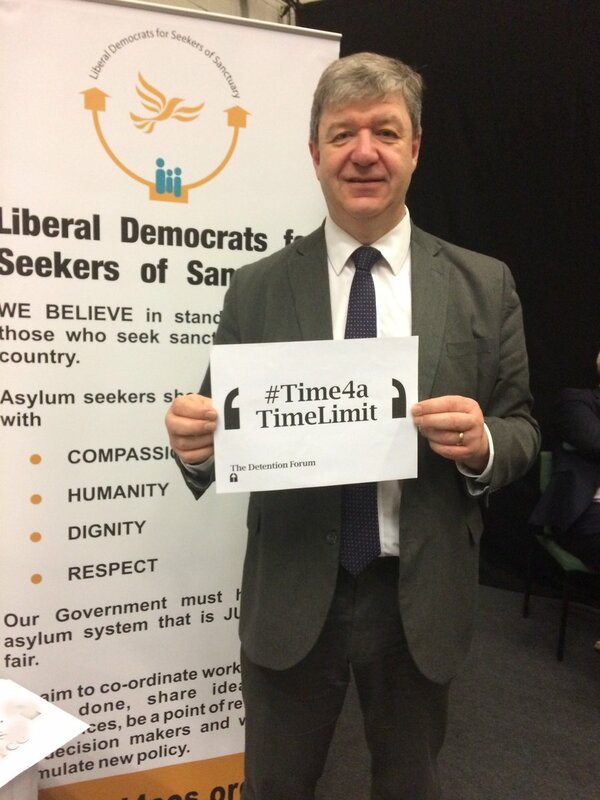 A 28-day time limit has long been called for by parliamentarians, the UN and human rights campaigners alike – and the more people who throw their support behind it, the more MPs are likely to listen. Remember – they work for you. Sign the petition today. With most MPs back from conference it's the perfect time to remind them that they work for us – and we want an end to indefinite detention. 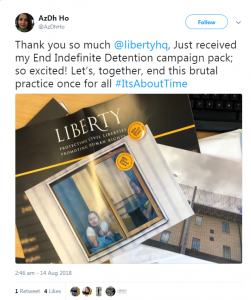 Liberty is also asking MPs to sign a pledge to commit to legislating for a 28-day time limit in the upcoming Immigration Bill – and nearly 600 people have sent postcards to their MPs urging them to do just that. You too can send a postcard for free today. Lobbying MPs is a vital tool to make sure those with decision-making power are properly informed and listen to the concerns of their constituents. Detention costs the public purse millions every year – roughly £76 million. 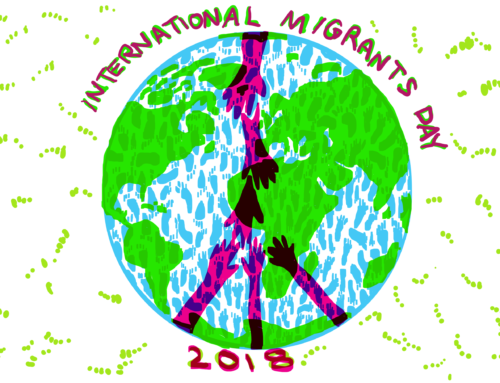 The majority of people in detention are released back into the community – by the end of June 2018, at least 56 per cent were granted leave to remain or released on immigration bail. There are many alternatives to detention that we should be using – a model developed by Detention Action could prove a useful starting point. Evidence shows that the severity of harm to a person’s mental health increases drastically after just one month in detention. Respected professional bodies, including the British Medical Association and the Bar Council, have joined the call for a time limit. Indefinite detention is a waste of money and devastates lives. Only with parliamentary support can we end this system. 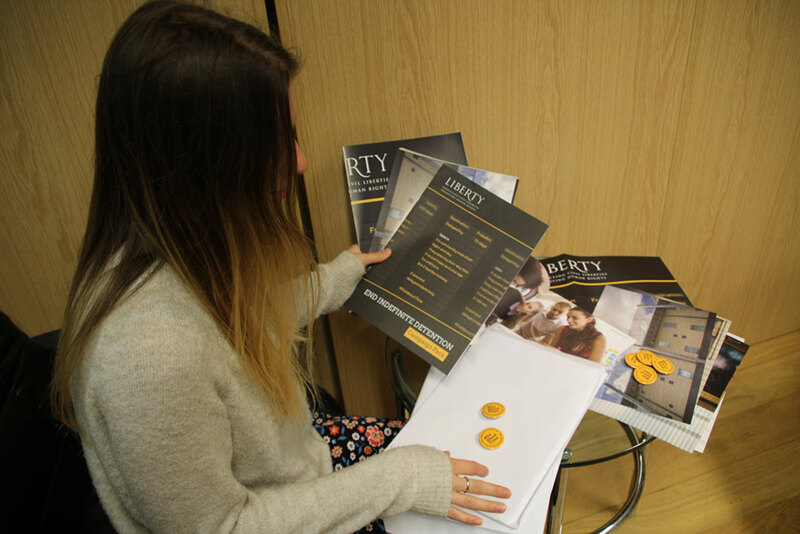 Liberty’s Campaign Pack includes everything you need to take the campaign into your own hands and educate others. It includes event ideas and activities, testimonies of people in detention, further reading, and our three-step guide to lobbying your MP. With these practical tools to hand, people across the country can help inform and organise around this issue. 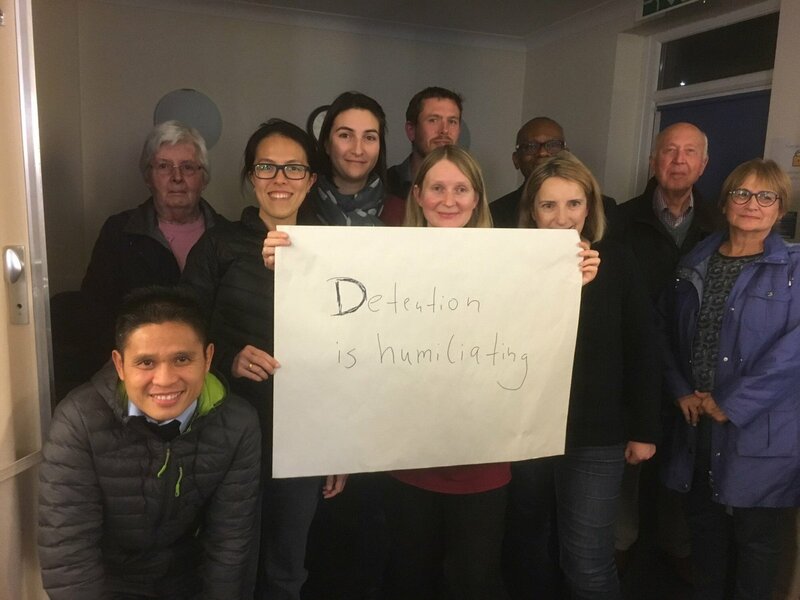 Whether in a school, workplace, community group or among family and friends, by discussing the problems and raising awareness, you can help end indefinite detention once and for all. Order a Campaign Pack from our website today. Indefinite detention is a stain on the UK’s human rights record – yet thousands of people continue to be deprived of their liberty every day. If you agree that this injustice must end, take action today. *Testimony kindly shared by Detained Voices.